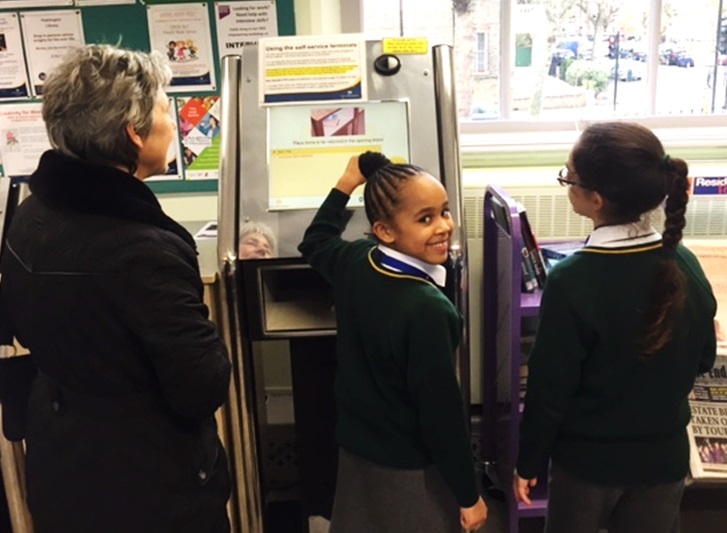 This is the second of three posts today about #takeoverday – how did it go at Maida Vale Library? 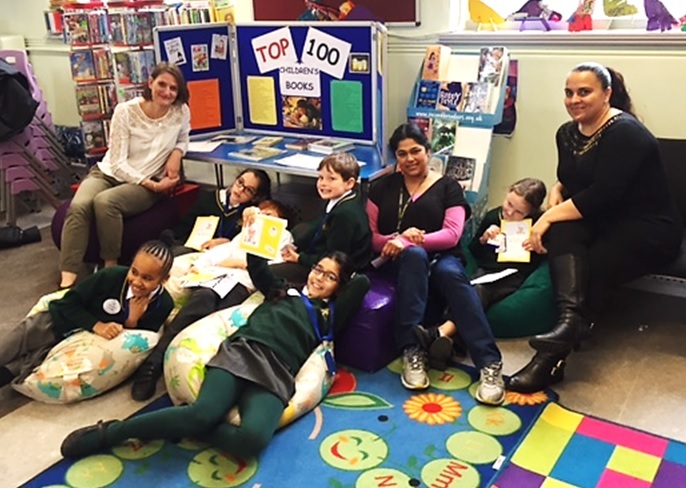 Holding a Takeover Day (or morning, in our case) was a first for Maida Vale Library but unlikely to be the last. 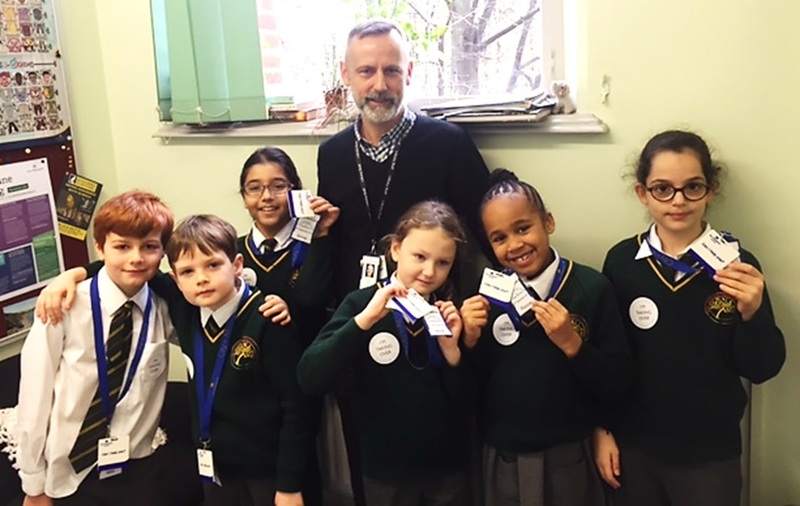 Six Year 4 students from Ark Atwood Primary Academy descended upon the library to find out just what working in a local library is all about. And we set them straight to work! Of course it’s not all songs and puppets working in a library. 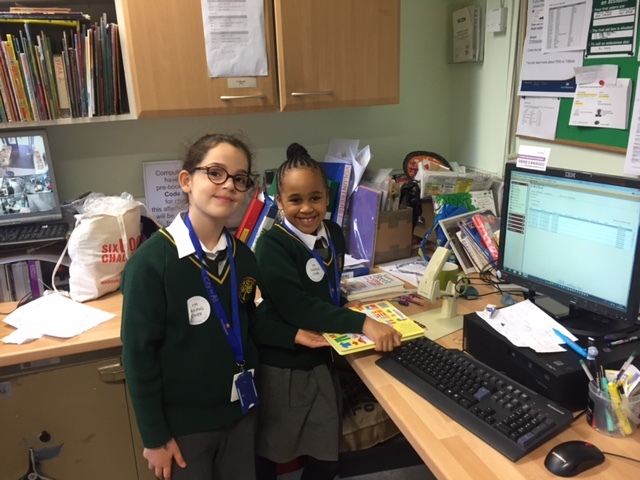 Rayya & Sonya helped out with some of the more routine tasks such as counting the previous day’s takings and helping process the new books. Then Tom & Alice helped plan our Over Fives Christmas Party and Milo & Sirine helped design the poster for the event. 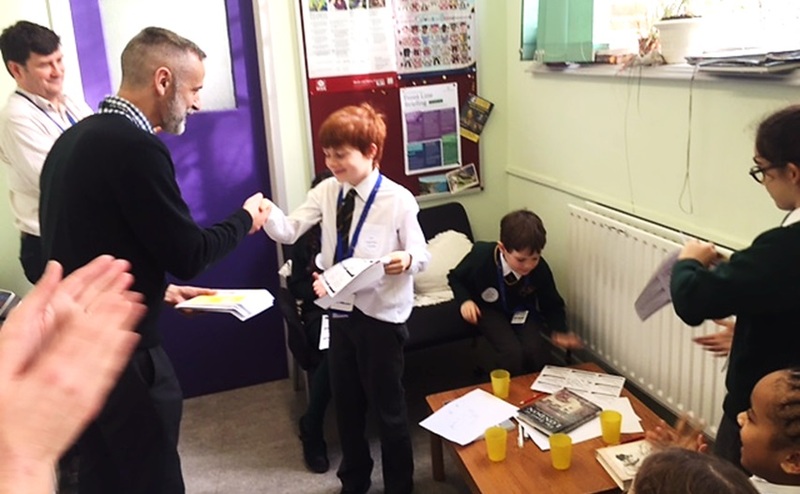 We’d like to say thank you to all our helpers and to everyone at Ark Atwood who made the morning possible, including deputy head teacher Sam Baxter as well as all the adults who accompanied the children on the day including teaching assistant, Eleanor and parent volunteers, Fiona & Rita. We might just see you again next year! This entry was posted in Children / Teens, Maida Vale Library and tagged Ark Atwood Primary Academy, children, employment, Kids in Museums, Maida Vale, schools, Takeover Day, volunteer, work experience. Bookmark the permalink. A wonderful experience for all concerned. We are eagerly waiting and looking forward to next years’ Takeover Day at Maida Vale.